★ CC & Animal ☆. . HD Wallpaper and background images in the Rakshasa's World of Rock N' Roll club tagged: black veil brides christian coma muppets animal. 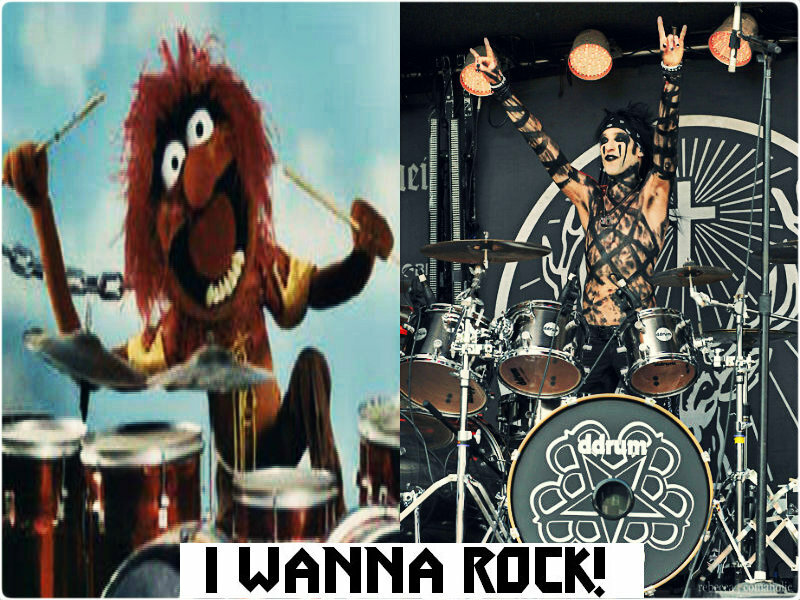 This Rakshasa's World of Rock N' Roll wallpaper contains trommelaar and drummer. There might also be bass drum, gran casa, grote trom, snare drum, snare, side drum, kant drum, paukeslager, paukenist, and tympanist.